I don't know if it is just me, but during the course of a day I open a lot of emails and by the end of the day my desktop is ciaos with browsers and email messages. On my wish list for Microsoft is a feature in Outlook to close all emails except the one I am looking at. Similar to the "Close other tabs" option in a browser. While that is not currently an option without writing an add-in there is a great feature you can turn on to help reduce the number of emails open. Once you have replied or forwarded an email there is generally little point in keeping the email open. 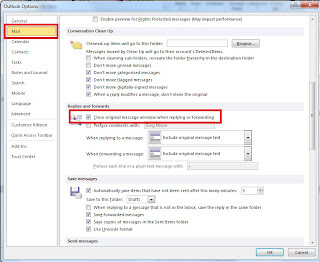 To have Outlook automatically close emails when you forward or reply to them go into your options. Scroll down the mail options about one page. 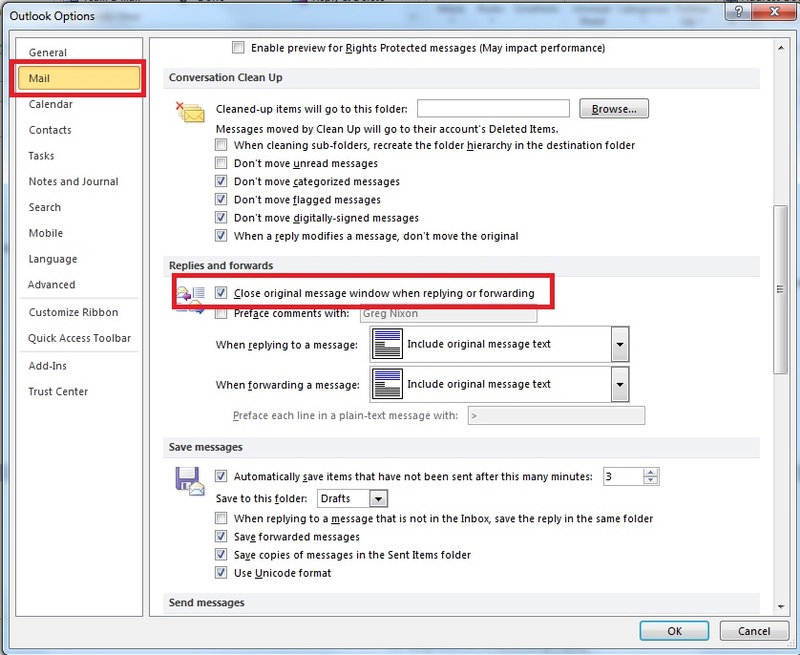 Tick the checkbox that says "Close original message window when replying or forwarding"